Resources for creative entrepreneurs to help develop their business are being produced as part of a creative momentum project. One recently published resource is our Creative Business Model Toolkit, which provides information and tools for creative entrepreneurs to develop and refine their business model. The toolkit draws on real world examples of peripheral creative businesses to illustrate different aspects of business model building blocks, such as customer segments and key partnerships. Next we explore some of the areas these cases focus on. The customer segments a business targets are one part of its business model. A business should aim to reach particular customer segments and meet the needs of these customers. Creatives may choose to target particular segments with different products and services they produce. One of our cases explores how visual artist and crafter Adele Pound (see page 16 of the toolkit) combines these practices to produce different creative content, such as her handmade, bird-shaped cards. This product draws on her core artistic inspiration, but to create a product that is more widely accessible to a diverse range of customer segments. Another key part of any business model is its value proposition, which can be understood as the specific consumer needs products or services address and the value they bring. Creative businesses operate in a crowded market and a distinct value proposition can be a good way to more effectively reach consumers. 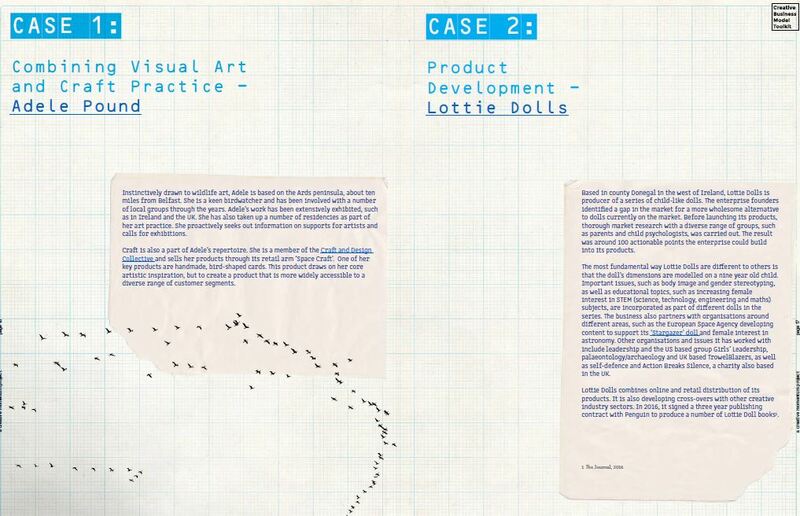 Investing time and resources into product development can be very worthwhile to develop a clear value proposition that effectively meets consumer demands, as the Lottie Dolls case explores (see page 17 of the toolkit). Creative businesses can expand or adapt their key activities into new areas, such as the tourism or education sector. We develop cases looking at how creative enterprises have successfully adapted their core work into these areas (see page 22 and 23 of the toolkit). Within any business network are key partnerships. For creative enterprises, key partners may also be competitors. It is important for creative businesses not to see each other as solely competitors or cooperators, they can be both at the same time. 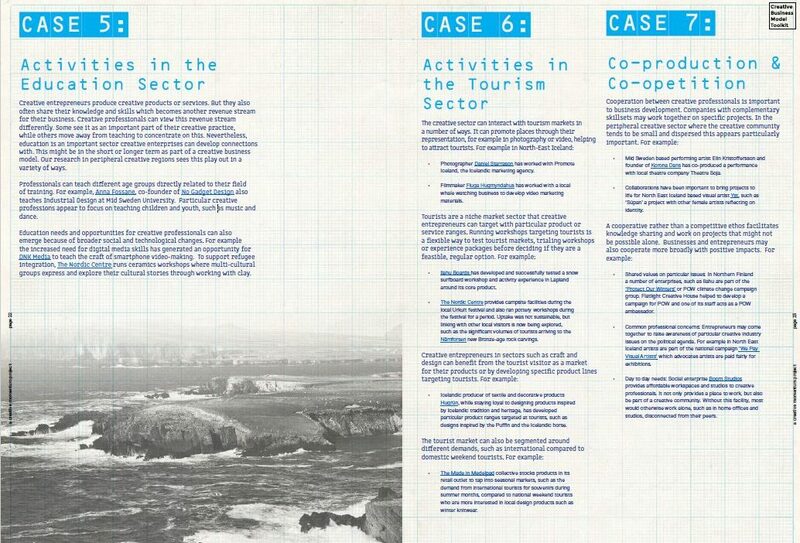 In our ‘Co-production and Co-opetition’ case study we look at how creatives effectively cooperate on projects, as well as shared issues and values (see page 23 of the toolkit). Read more about these cases and others in the Creative Business Model Toolkit. We’re producing a series of short articles on our Creative Business Model Toolkit. Last week we looked at how the toolkit discusses the relevance of business models to creative entrepreneurship, as well as how creatives can use the toolkit to translate the concept into practice. Read the article here. In our final article next week we’ll focus on tools developed (worksheets, glossaries and template) to assist analysis and shaping of creative business models.